Home cake Garden and Gather monster zucchini A bitter and sweet Garden and Gather. A bitter and sweet Garden and Gather. 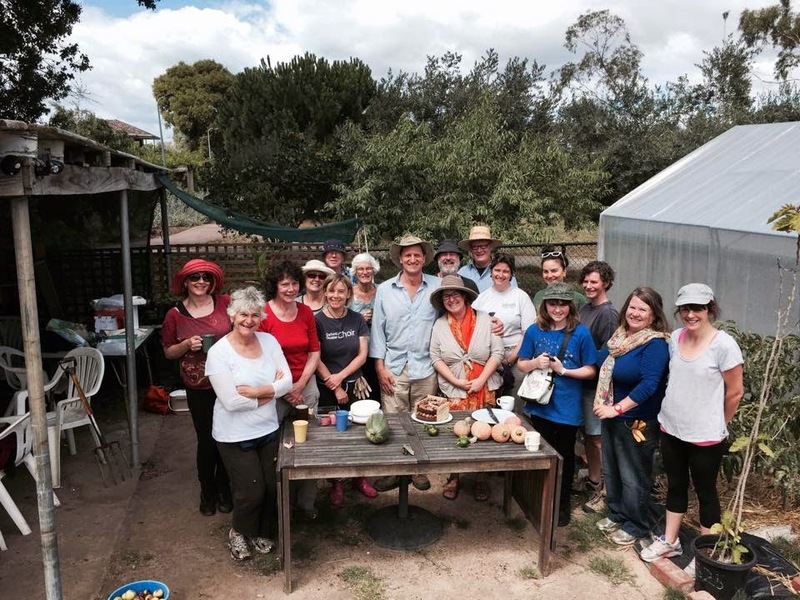 Sunday the 25th saw 2015's first Garden and Gather. It was a bitter sweet gathering, as we of the WBCG bade farewell to our dedicated Compost King, Thomas. Thomas has been the stalwart of the Composting Crew who has coaxed, crooned and lovingly aerated the WBCG to a fecund chocolate richness for over two years. Thomas now is moving back to his native UK. He will be sorely missed. 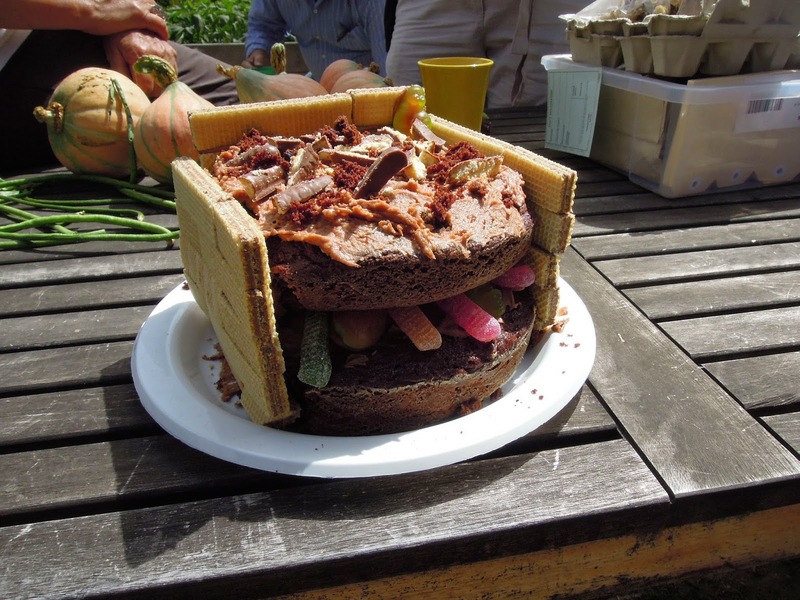 In honour of the day, Libby created her own 'compost cake', which was a incredible feat of baking-based engineering. 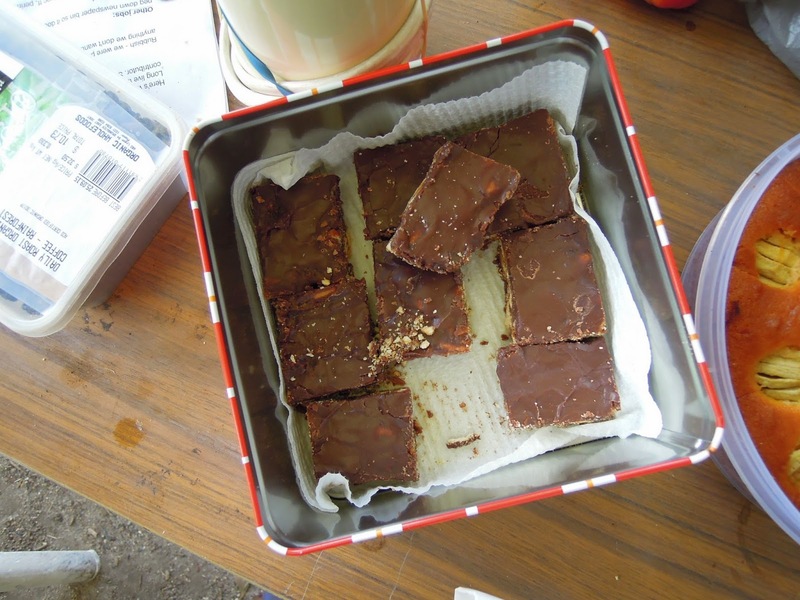 The compost cake joined a hot of other treats which where proffered by the attendees. Now, it should be said that we don't spend all the time at the Garden and Gather eating. This month, the list of jobs wasn't long but it was full of important and lengthly jobs - namely watering, turning the compost, attaching hessian sacks to the fence, harvesting zucchini the size of toddlers and cleaning up and tending the Food Forest next door. 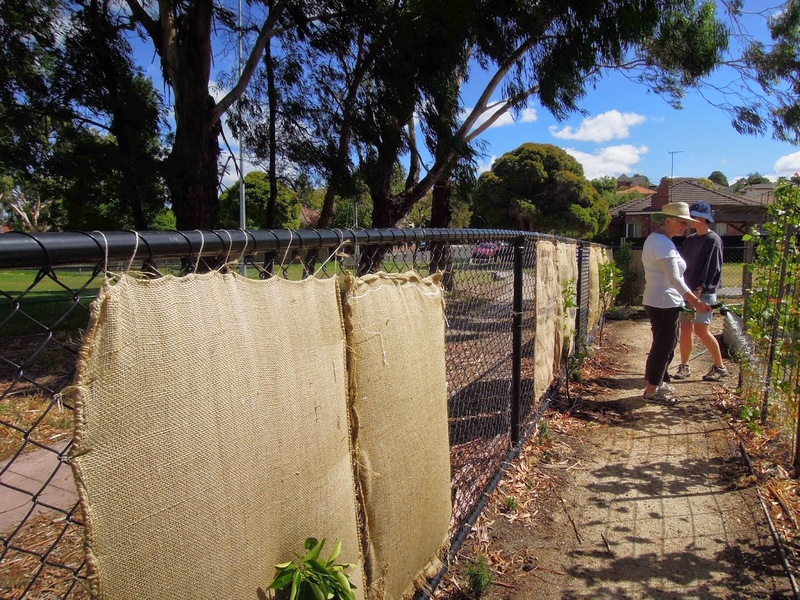 The hessian sacks on the fence, seen [left] with Julia and Grace doing the watering, are there to help create a wind break. If anyone had ANYTHING growing through those windy days in early January, they know that wind can be worse than lack of water! 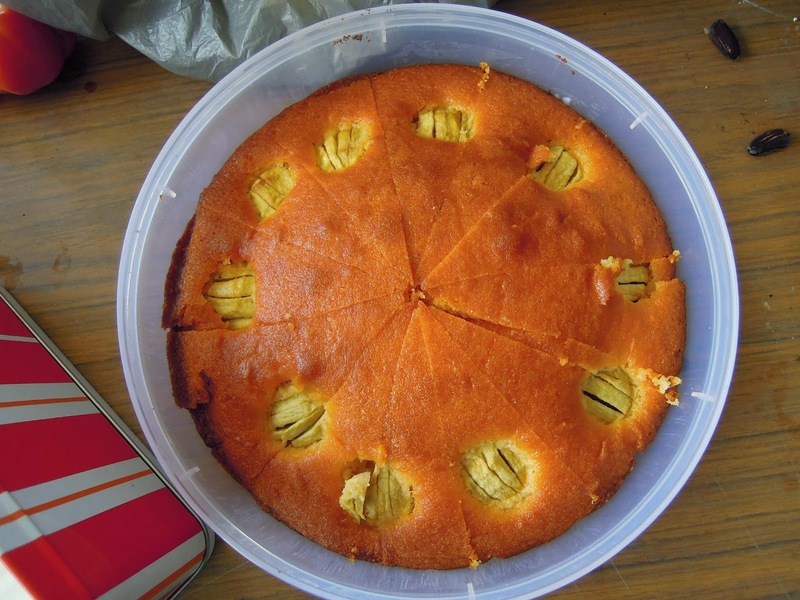 All who attended shared the loot: Amazing cakes, good company, more zucchinis, more tomatoes, snake beans and delicious Red Kuri pumpkins. 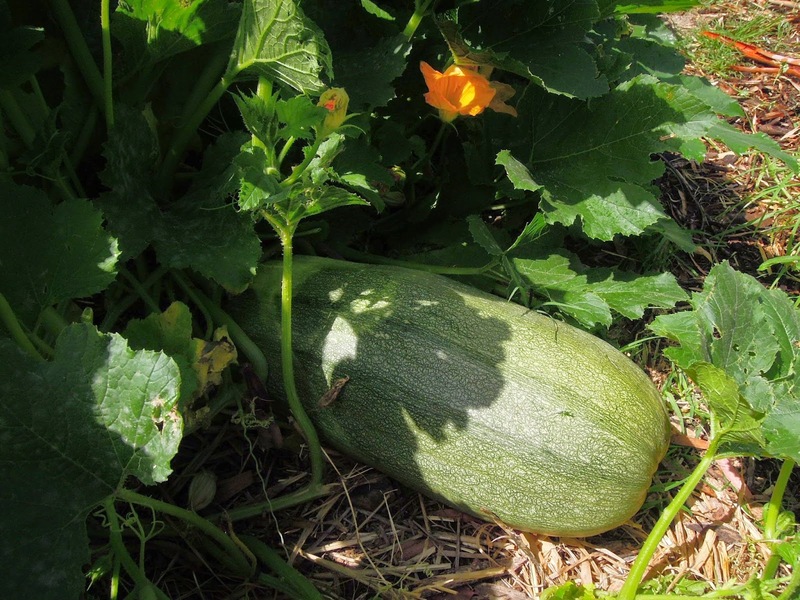 The 5-year-old-size zucchini was left to its own devices and will be harvested for seed. The next garden and gather will be on the 22nd of February.